It’s not just any tequila that can type “Experience: 143 years” on its resume. Tequila Herradura® is the exception: since 1870, they’ve harvested and hand-crafted every smooth ounce of liquid gold (and silver) at their legendary Hacienda San José del Refugio, resting every offering in American toasted oak barrels (yes, even their silver is aged for 45 days) before it’s allowed to complete the ultimate journey: their bottle, your mouth. 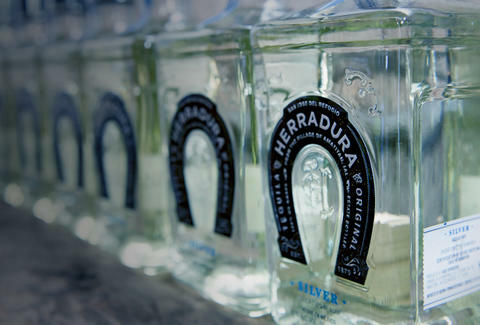 For Herradura, making tequila is an art form, so the same barrels that give Herradura its finish are the starting point for the Herradura Barrel Art Collection. In celebration of this nationwide transformation of tequila barrels into visual masterpieces, Thrillist staked out The Tequila Trail: some of the best spots in Chicago and beyond to sip magical agave elixir. Click below, and get ready for another ultimate journey.